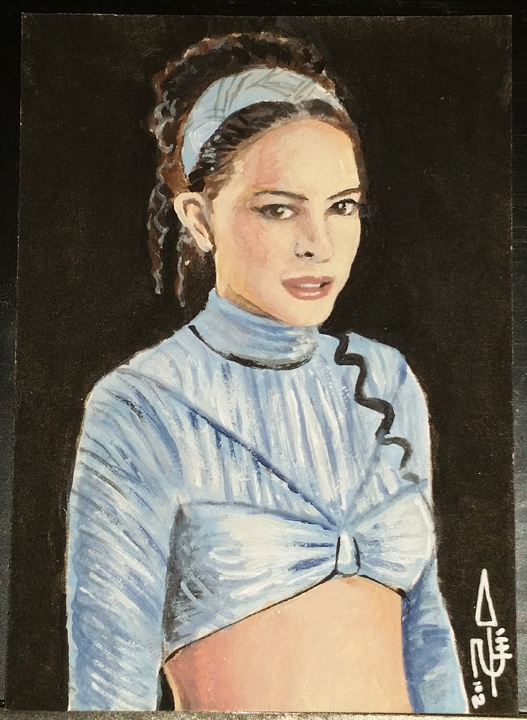 Every week has a “Snowbunny Wednesday”, so in order to feature the sketch cards of Kimberly Dunaway for a week on Daily Dose of Padmé, it would require a sketch of Padmé in her Ilum attire. 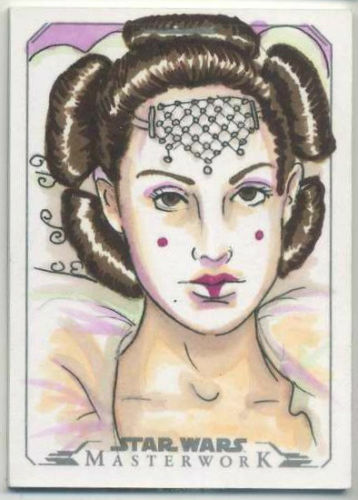 However, not only had she not done one, I had not seen that outfit on any of the nearly 200 Masterwork Artist Sketch Cards featuring the former Queen of Naboo. 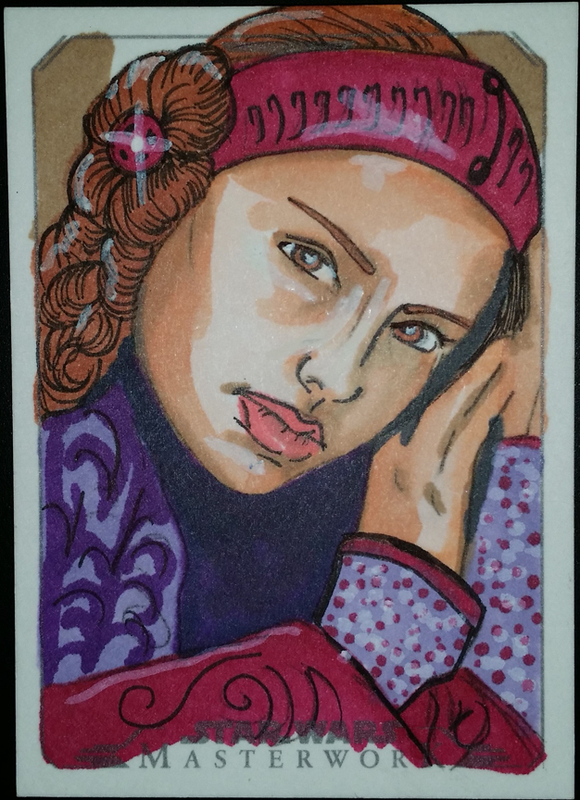 Fortunately, Kim had some blank cards and created this breathtakingly beautiful sketch specially for me. 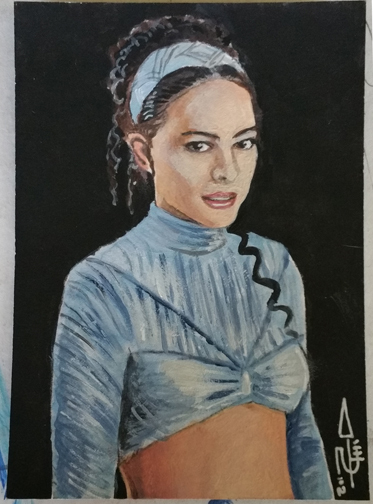 Obviously, I acquired this card directly from the artist. 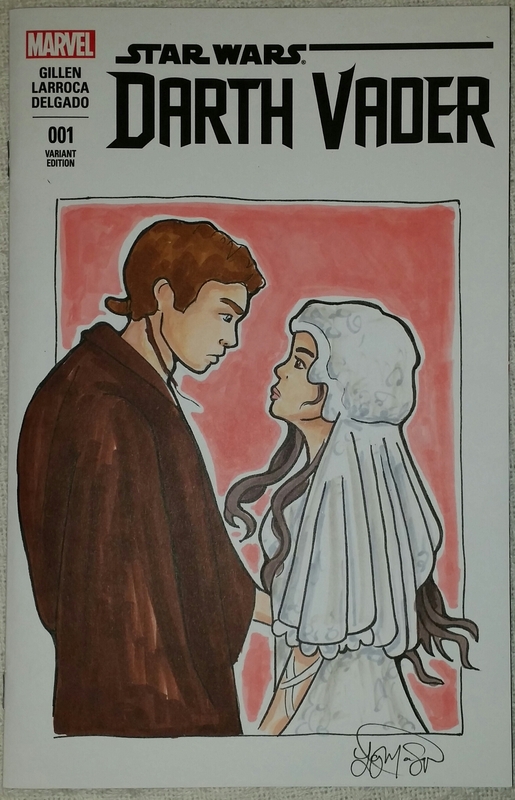 After recovering from injuries sustained in the Battle of Geonosis, Anakin Skywalker was tasked with escorting Senator Padmé Amidala back to her home planet of Naboo. While there, the two were secretly married. 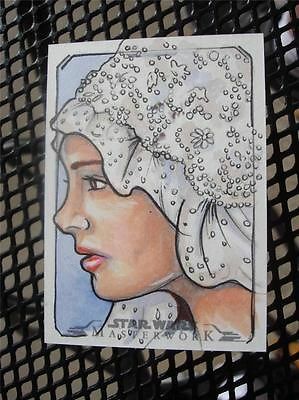 Padmé wore a beautiful beaded lace gown for the ceremony. 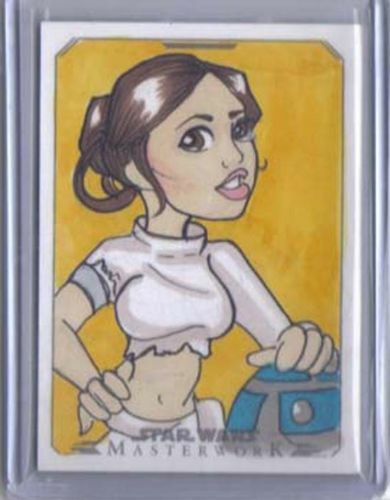 I won Gary Crafford’s ebay auction on February 25, 2015. 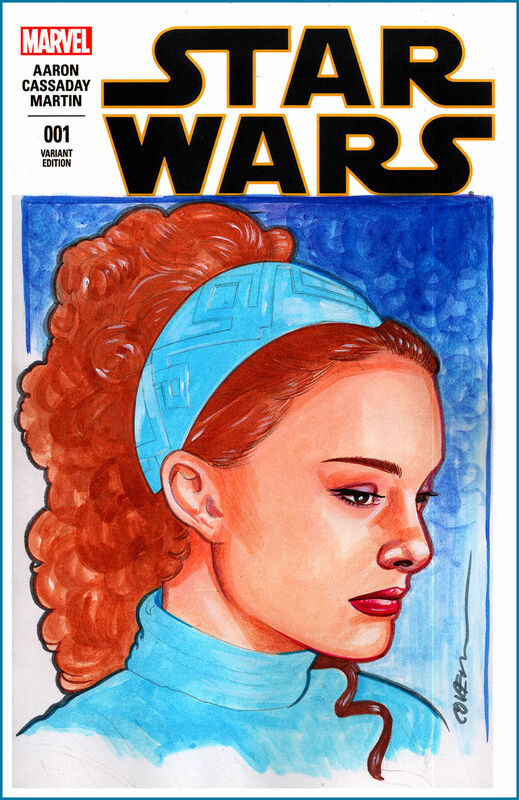 When Padmé Amidala is under the protection of Jedi Padawan Anakin Skywalker on Naboo, she wears a beautiful, multi-colored dress. Even though we only see the collar and her hair, the look is so iconic that you can tell that this is what she is wearing in the sketch. 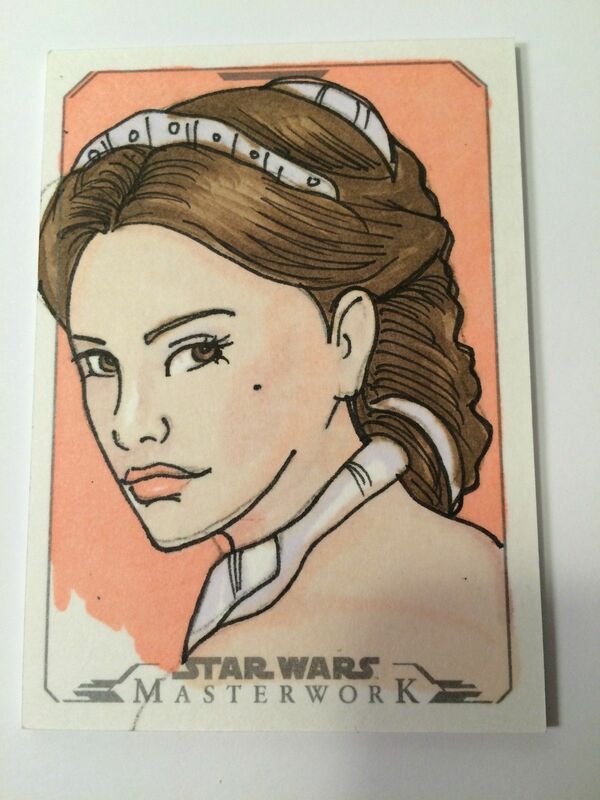 I won an eBay auction for this card on February 24, 2015.